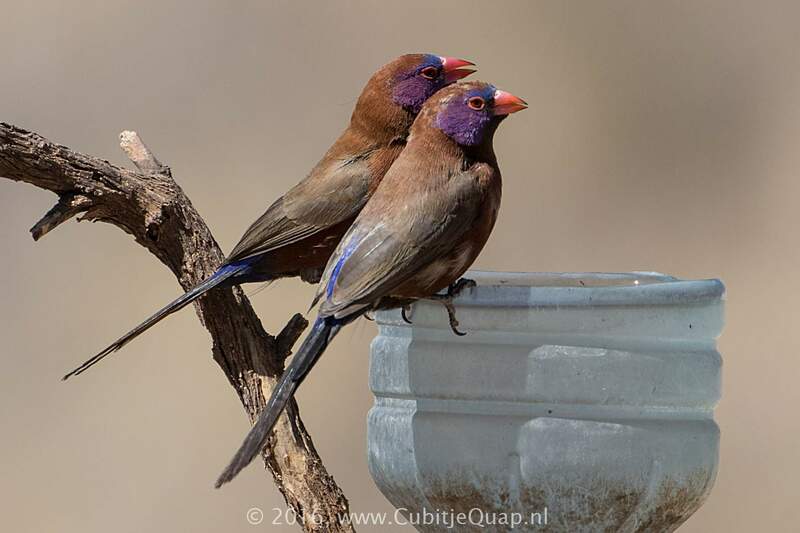 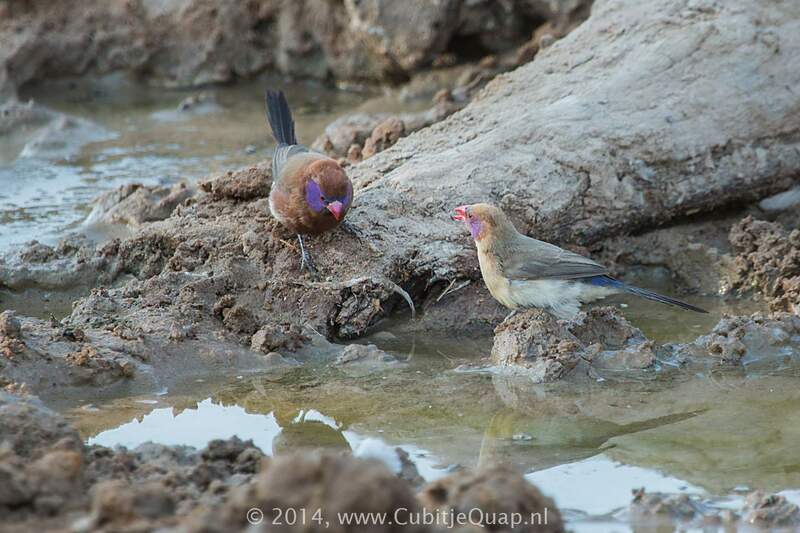 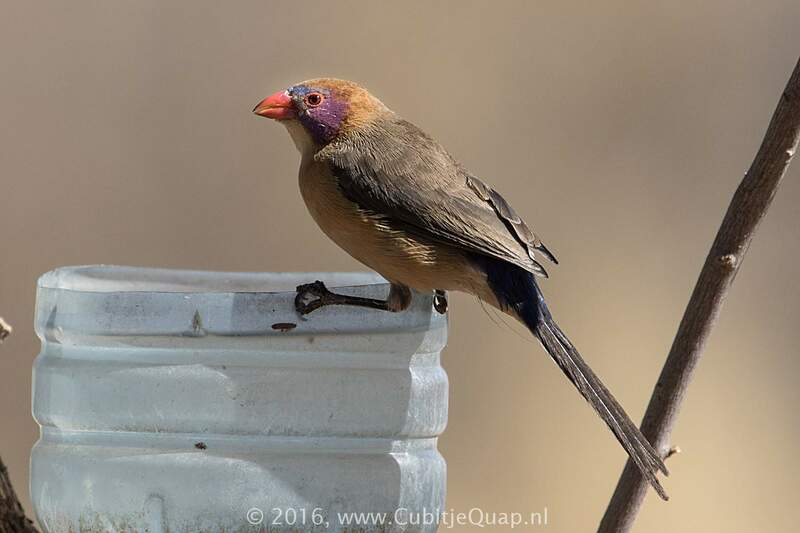 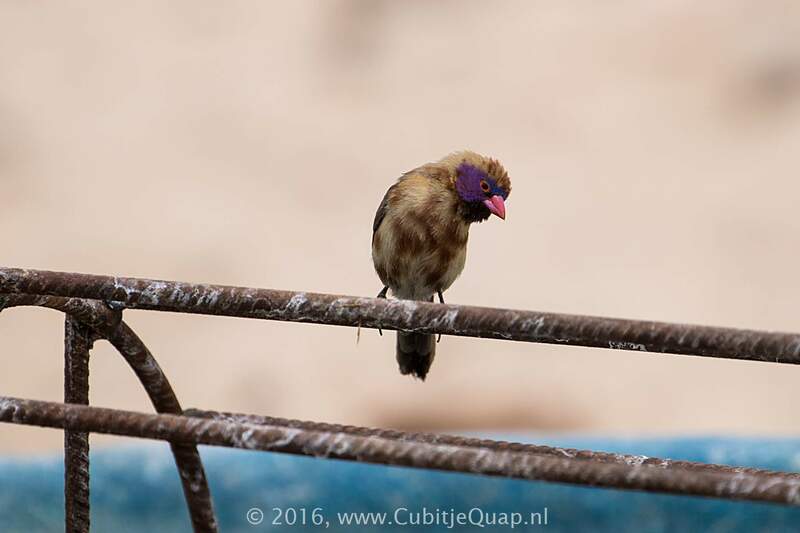 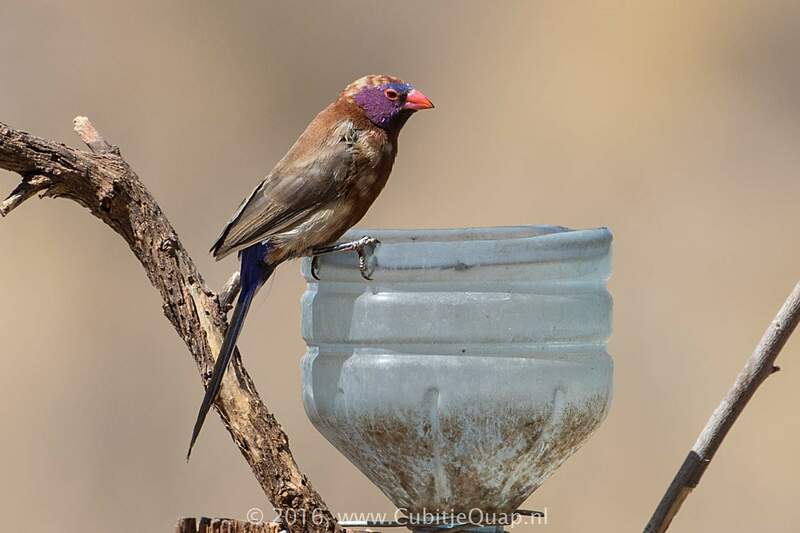 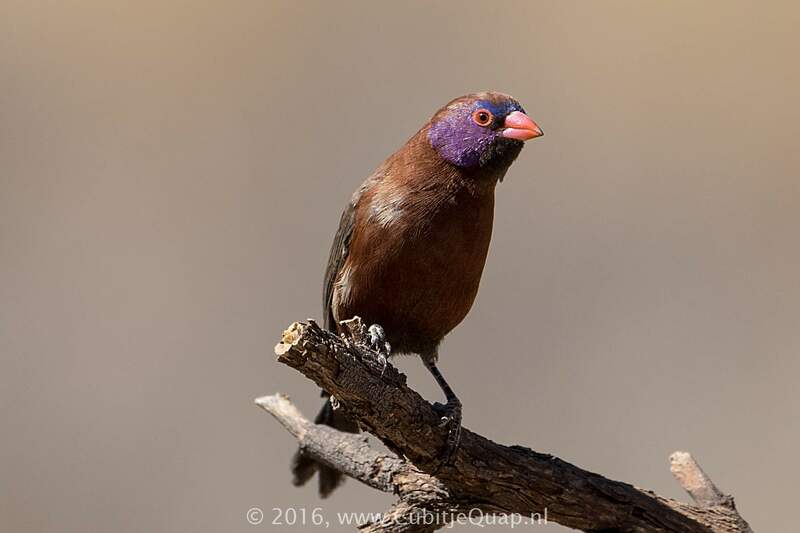 The red bill, violet cheeks, brilliant blue rump and black tail are diagnostic. 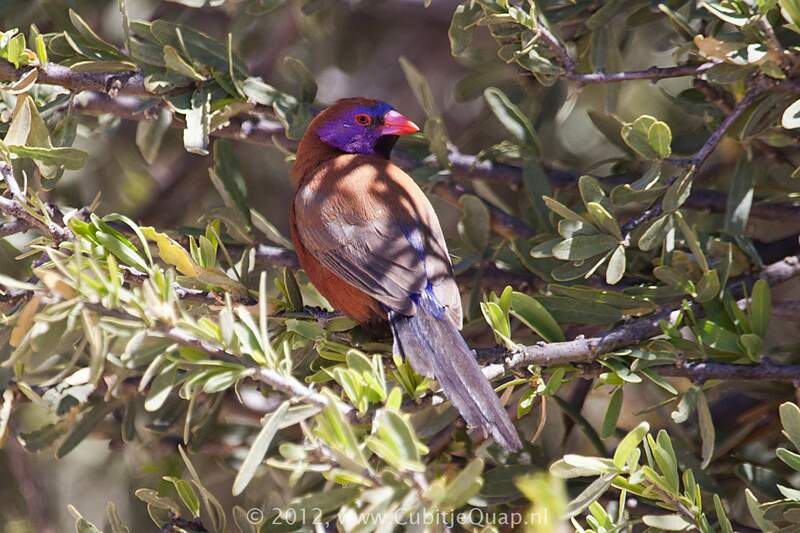 Male has chestnut head and body plumage and a black chin. 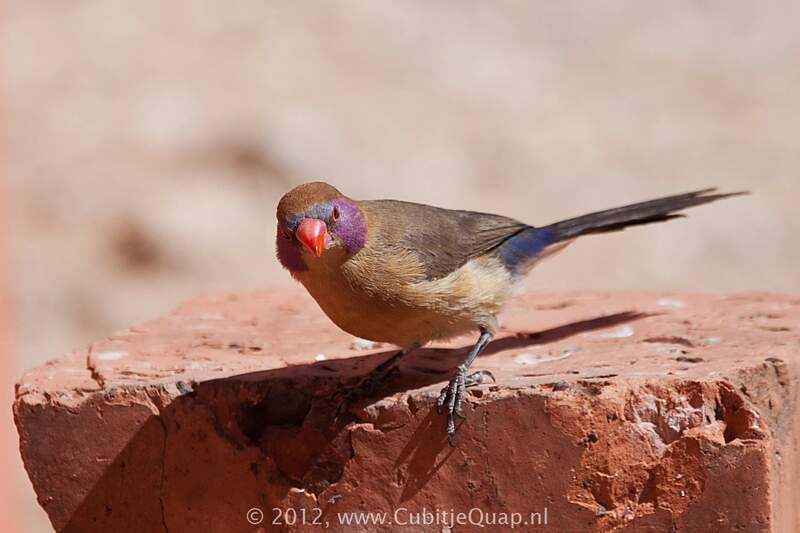 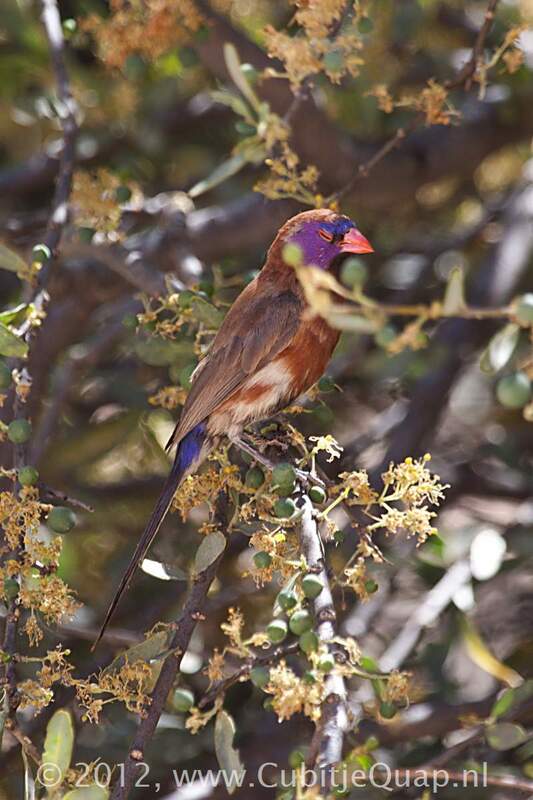 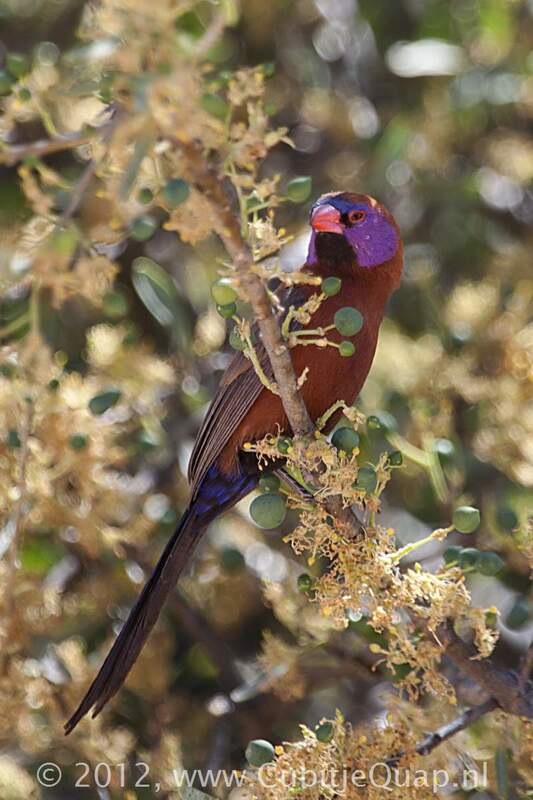 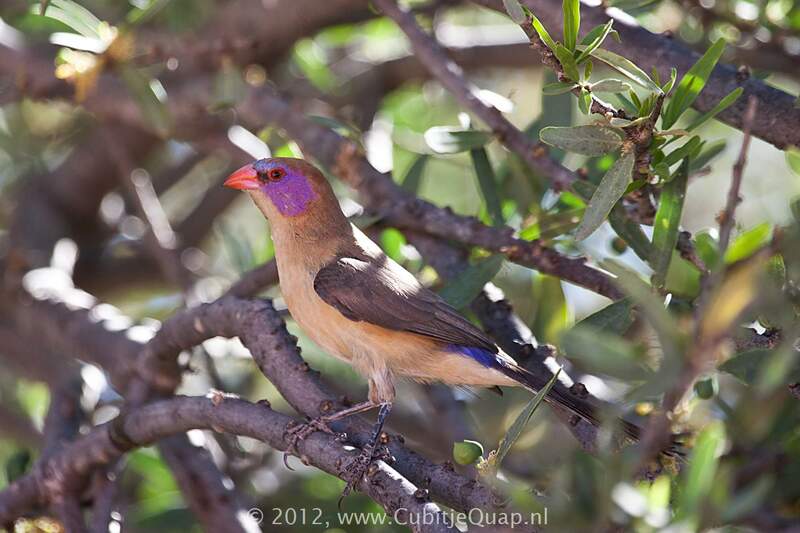 Female has biscuit-coloured head and body with a blue rump; the violet on the cheeks is less extensive than on male. 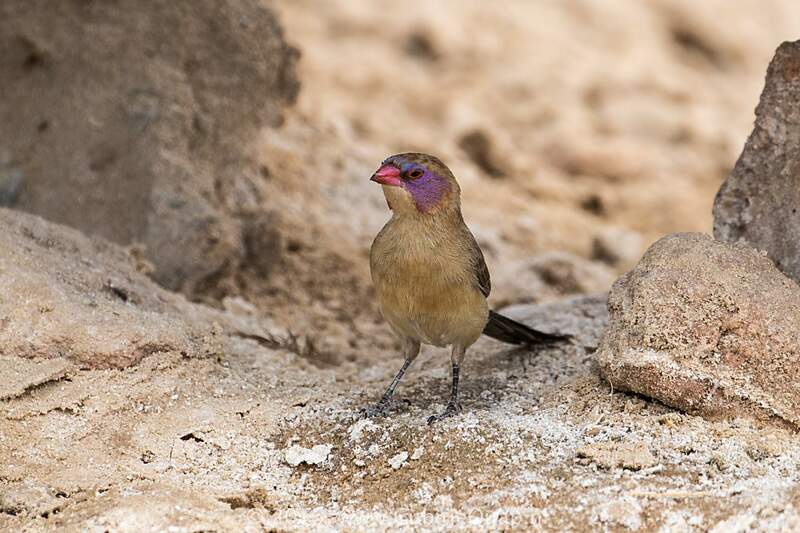 Juvenile resembles female but lacks the violet on the face. 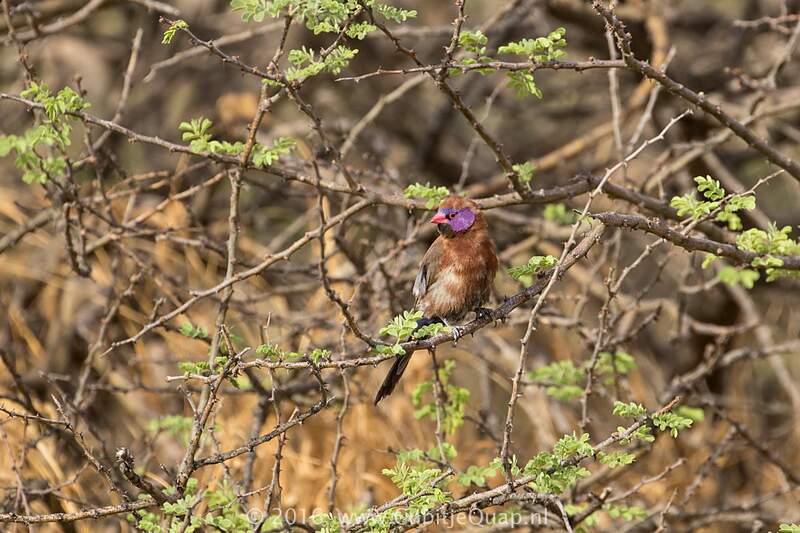 Woodland and savanna, especially thornveld.